An attractive design resolving big issues to realise great potential. 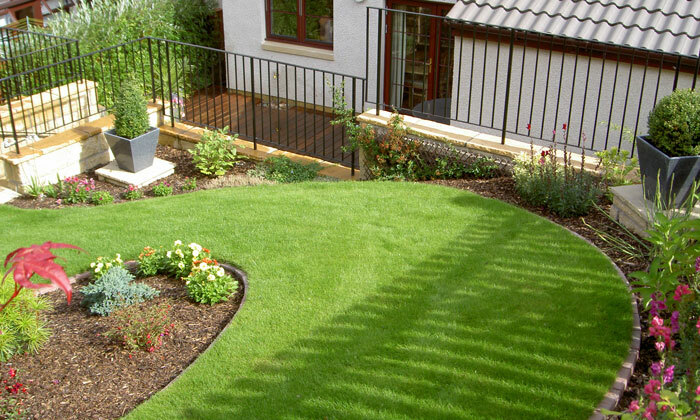 This was another sloping garden in a new house where the clients were very disappointed to find they had such a sloping garden that was also cut in half by a large retaining wall. Like many clients they were stuck for ideas and needed a creative service to evaluate what was possible in their garden for their budget. This client was not convinced they could achieve much in this garden and thought it was not worth spending much on it, as they would get little use out of it. Once I worked through the design creating a positive space on either side of the dividing wall the clients were delighted. I achieved an attractive useable lower garden room space with water feature and architectural planting and a contrasting soft flowing upper garden. The clients loved the idea of having two positive gardens and now enjoy a lot of time in their garden. These clients were surprised by what was possible and could not have imagined having such a great garden to enjoy in this property without my design. Many properties have unrealised potential in their outdoor spaces which is why most properties should have at least an evaluation of what is possible.